A flying start to a life of learning. Check out our class blogs! Today saw the first ever ‘Gastrells talent show’ entirely led by children! Madie and Leona, who also hosted the show, came up with the idea several months back and today saw all their hard work come together. Both girls deserve a huge amount of credit for putting together a superb show which saw a whole variety of acts including a dancing Segway, magician, tap dancer, soloists,arange of dances, some poetry and a rather interesting Beyoncé tribute act 💍. It’s all in the science ? 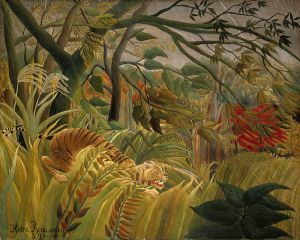 We have been looking at Henri Rousseau’s painting ‘Surprised’. We tried to guess what the painting was called and then we painted pictures of tigers. We are going to be finding out about tigers in the next few weeks. Today, Ben, Lexie and Dylan create a video to show a virtual tour around our school. 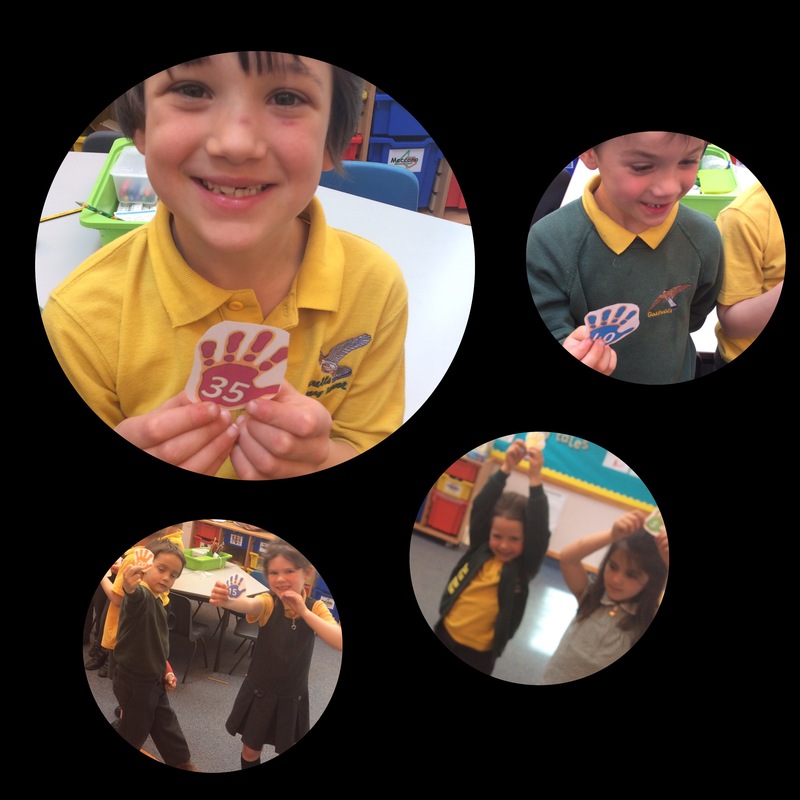 We have been using handprints to help us skip count all the way to 100 in 5s! We are getting really quick at it now and some of us can even count backwards in 5s as well. Today in Spanish two groups made tapas of Fried Aubergine with cheese. Gastrells finish 6th in the county! 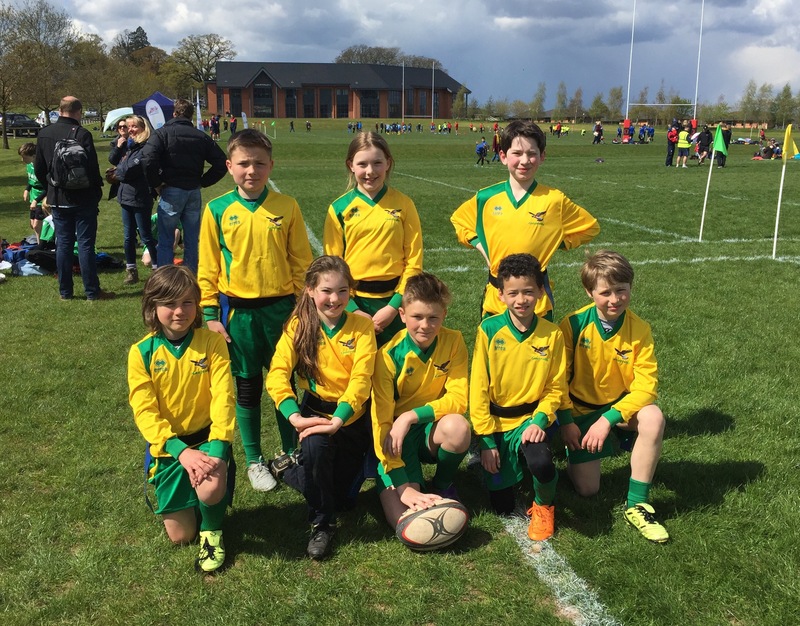 After qualifying in 2nd place at the Stroud district finals Gastrells tag rugby team headed to Hartpury college the home of Gloucester Rugby to compete in the county finals. After a superb morning of rugby Gastrells topped their group, after winning 3 games and drawing just once and headed through to the quarter finals where they played Bluecoat Primary, with the score 5-5 at full time, they headed for extra time. 5 minutes later and the two sides could not be split and Gastrells were agonisingly knocked out of the competition as a result of the silver try rule (the team that scores 1st in the match goes through). With two games to play against other losing quarter finalist Gastrells picked themselves up to win their next match however lost a close encounter with St Mary’s in their final game of the day. With a flip and a twist! Well done to Leona, Euan and Imogen who are competing in the Level 3 gymnastics competition this morning. New Surgery opens in Owls! There are some new Doctors available at the surgery. Remember to book your appointment well in advance! Class Blog for Owls Class 2017/18!